When you don’t have a place for your belongings, it can be incredibly frustrating, especially if you’re trying to attend to your work and family, handle travel plans, or carry out a home improvement project. Whether you need space on the short or long term, finding suitable and secure storage for your precious belongings can be a challenge—but it doesn’t have to be. You can choose the services of Honor Storage in Orange County. We offer secure on-demand portable storage units at an affordable price. The Honor Storage Team is your Orange County Expert in providing on-demand portable storage units. We started with only one location in Santa Barbara, but we’ve quickly grown to 4 locations throughout Southern California. Thanks to our newest location at 6122 Katella Ave, Cypress, we are able to help people move all across Orange County and neighboring cities. We have extremely friendly managers at our location in Cypress, Orange County that will help you with every need. That’s why our goal is to build long-lasting relationships with our clients while providing them with the best storage unit services to make their lives easier. We consistently incorporate innovation, personal service, and proper communication to build trust and position ourselves to better solve their problems, because we care about our clients. When you deal with Honor Storage’s team, you can rest assured that you are our highest priority and that we will go to great lengths to ensure that we store your belongings safely and cost-effectively. Where Can You Find Our Offices? We also have 3 storage locations close to Orange County. Two in Santa Barbara, California: one at 719 Bond Avenue and the other at 1 N. Calle Cesar Chavez #130. If that’s not enough, you’ll find us in Ventura County (3112 Seaborg Ave Suite D, Ventura) as well. If you want to free up some valuable living space and improve your quality of living, we can help. Since you don’t have time to spend on arranging transport and a suitable storage unit, you can leave everything in the capable hands of Honor Storage. We will take care of all your belongings, regardless of number, size, and storage duration. 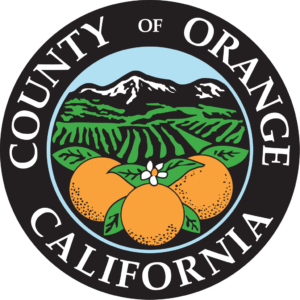 Keep reading to learn more what areas in Orange County we provide services for. If you are in need of high-end storage solutions, keep reading to learn more about our services and why you should choose us instead of other storage unit companies. If you want to declutter your life, all you have to do is pick up the phone and tell us what you want to put in storage. We will come to your home, pick up the belongings you want to store, and transport them to our storage facility in Orange County. When you want to take your belongings out of storage, we will deliver them back to your address in Orange County. Our clients find our services completely hassle-free, quick, and simple. Safety and security are usually the primary concerns that people have when their belongings are in storage. When you store your precious belongings with us, they are completely safe. We employ a wide range of security measures to prevent loss due to criminal activity. Our security measures include perimeter security, 24/7 video surveillance, and sophisticated alarm systems. Honor Storage goes to great lengths to ensure that we conduct our moving and storage services professionally. We treat your possessions with the utmost respect and guarantee that there will be no risk of damage while we carry out our services. Clients that have worked with us in the past know that they can trust us with all their items, including fragile belongings or possessions with sentimental value. Unlike most other storage companies in the area, Honor Storage only charges our clients for the storage space that they use. If budget constraints are limiting your storage options, we can help. Our pricing structure is flexible and geared toward helping you stay within your budget. At Honor Storage, we accommodate all sorts of items in our storage units from vehicles to small things like keys. Many people that are shopping for suitable storage providers regard storage units and their features as a significant consideration in their decision-making process. Our storage units are sturdy and can protect your belonging against exposure to the elements, moisture, pests, dust, and temperature fluctuations. They also allow for easy access so you can locate specific items with minimal effort. There are several features that you can select when using our services. These features include complete temperature control, indoor storage for maximum protection, drive-up access, and 24/7 access. If you’ve never had your belongings in self-storage, you may not know which of these features you need. Give Honor Storage a call to find out more about these features and how they can benefit you. Orange County is a county in the Los Angeles metropolitan area in the state of California. Behind the San Francisco County it is the second most densely populated county in the state. This county, which is the home of many celebrities, has 40 miles of coastline and is the shooting location for many TV shows and movies. It is also home to Anaheim’s Disneyland Resort. Another interesting fact about Orange County is that it has become very popular with surfers. It’s been known to be one of the surfing capitals of the US. If surfing is your thing, you won’t regret moving to Orange County for a second! Living in Orange County is not all moonshine and roses, however. Property prices and rent are high, and even high-end properties don’t have a lot of room to spare. That’s why the storage facilities of Honor Storage are really convenient to use! Storage units are a great way to clear up much needed space, without having to discard any sentimental or valuable belongings. Our safe and secure Orange County storage facilities, allow you to reduce clutter, store valuable items securely, and free up space in your home or office. If you're looking for a local Orange County storage company near your home or office the provides easy access, reliable service, and options that meet your specific needs – then Honor Storage the right choice for you. If you are looking to explore storage options in the Orange County area, call us today or submit a free quote and we will get in touch in a timely matter! Many situations may require you to seek high-quality storage services. For example, if you want to move to another place or if you are going overseas for a long time. You may also be in need of storage because of an adverse event that happened in your life. 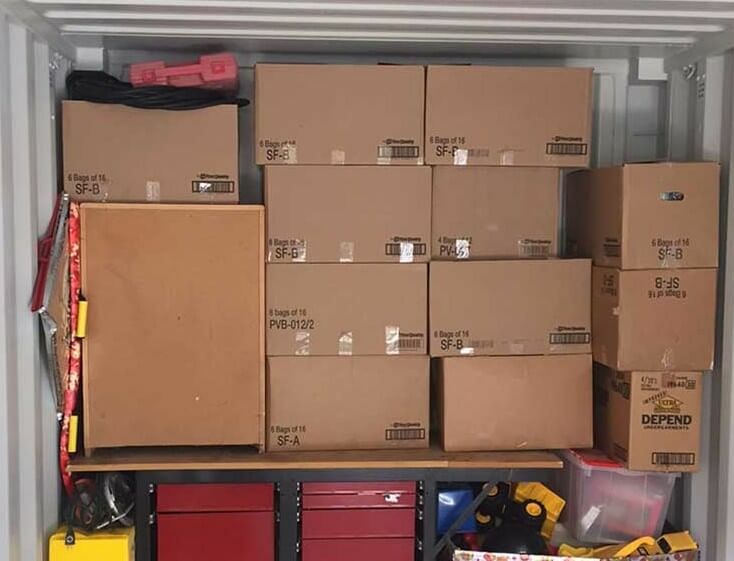 In cases like these, Honor Storage’s services can make your life significantly more comfortable while freeing you to do what you need to handle—whether that be work, kids, projects, planning, or otherwise. The best thing about our Honor Storage’s services is simplicity. If you need storage space for your products or belongings, help is a phone call away. If you have unique requirements, our team will work with you to ensure that you are completely satisfied. To find out more about Honor Storage services or to get a free quote, contact us today.